Want a luxury, hotel-style interior without the price tag? Recreate five-star luxe with our guide. Whether you’re thinking contemporary boudoir or boutique bedroom, hotel style calls for a sleek window dressing that’s both on trend and timelessly stylish. In other words, shutters. White will reflect plenty of light in a small space that’s starved of natural daylight – and you can endlessly change your colour scheme around it – but don’t forget that other neutrals, such as greys, beiges and even black, will look equally hotel-chic. 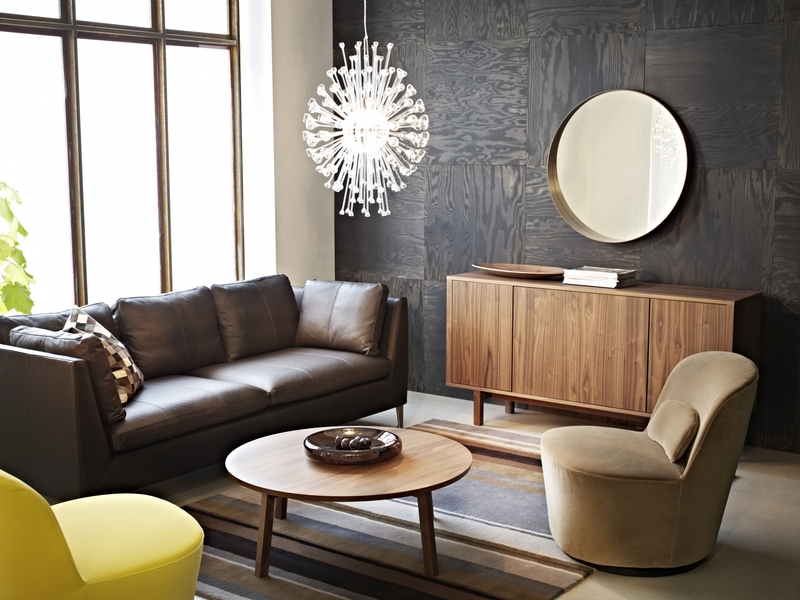 Creating a hotel-style home means you’ll need to rely on a few statement pieces. 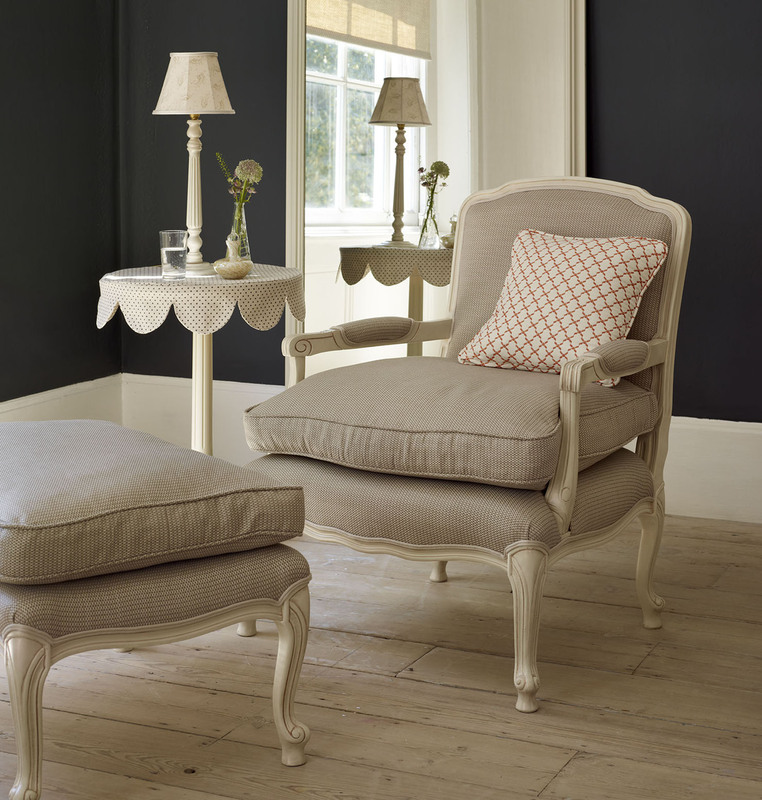 It might be a beautifully upholstered chair, a stand-out rug or an over-sized lamp. Or it may just be a huge houseplant (which let’s face it, is the most affordable option – and one that’s bang on trend for the year ahead). 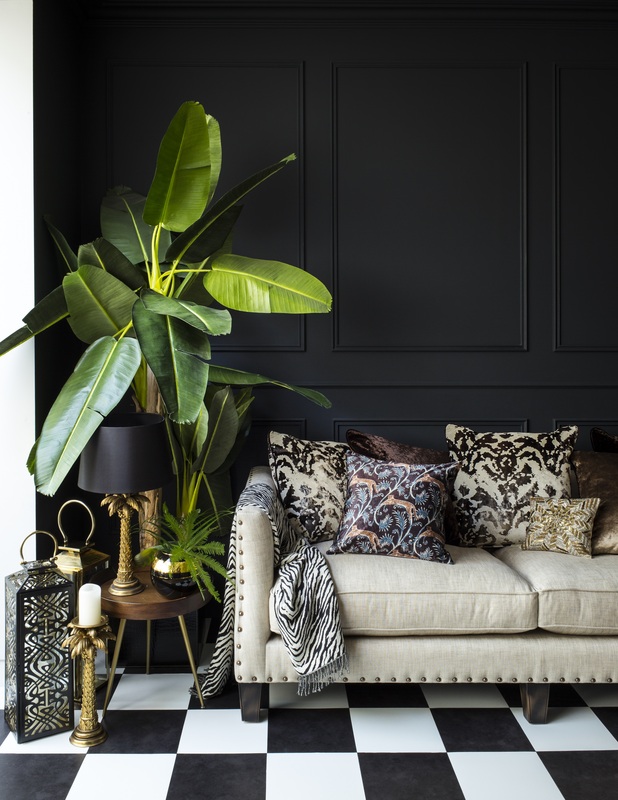 For maximum impact, put it against a wall painted in a moody paint colour, such as black or dark blue. This colour contrast trick works outside in the garden, too. Most hotels – even kooky boutique ones – have a neutral colour scheme, even if it’s at the dark and dramatic end of the scale. Which is where bold colour accents come in. Just a touch of bright pink or lime green or sunshine yellow in these schemes will stop them feeling dowdy and understated and give them some contemporary wow-factor. 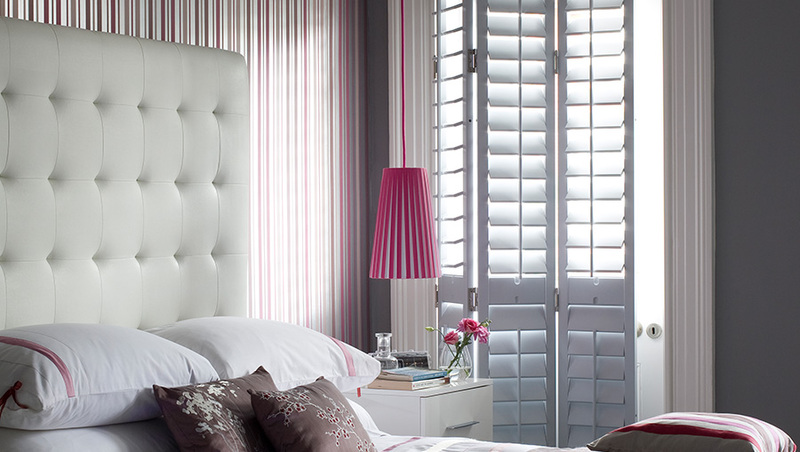 You could even introduce the colour in your shutters with our Colour Match Service. Leather sofas, wooden furniture and stone floors all go a long way to persuading the eye that the room they’re looking at cost a fortune – but of course, we all know that just a little clever shopping can make bargains look beautiful (hint: look for texture and keep the colour palette limited). Up the luxe factor by layering your scheme with deep pile rugs, chairs upholstered in touchable velour, faux fur throws and comfortable squashy cushions – and of course, add that splash of all important colour. Marble, metallics and mirrors. Need we say more? These three magic ingredients will make a bathroom or kitchen instantly hotel-glam. 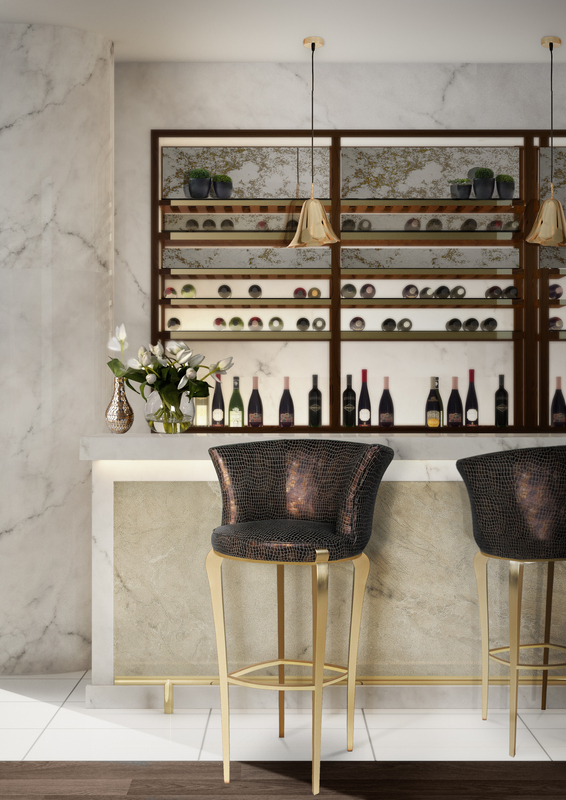 Marble is a hot trend for the year ahead – you can find it on everything from wallpaper to telephones; and metallics are playing a starring role on vases, bowls and even wall tiles. Mirrors? All we’ll say is: the bigger the better to up the impact. However slick, streamlined and sleek your hotel-style interior might look, it’s got to be comfortable for you to enjoy it. So, if you can, try before you buy; and if you can’t, consider the texture carefully. That means armchairs, beds, sofas and even flooring you’ll be walking on barefoot. Bedding and shutters, too. If you’re going to be standing, sitting, lounging, lying on – or just looking at it – it’s got to be inviting.